An amazing gift comes from the love of your family. It is very meaningful to hand a gift for your granddaughter which she will truly love. Nothing compares with the comfort, design, and affordability that a product can give to you and your loved ones. 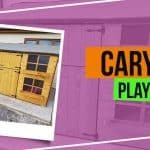 Thinking of a playhouse? 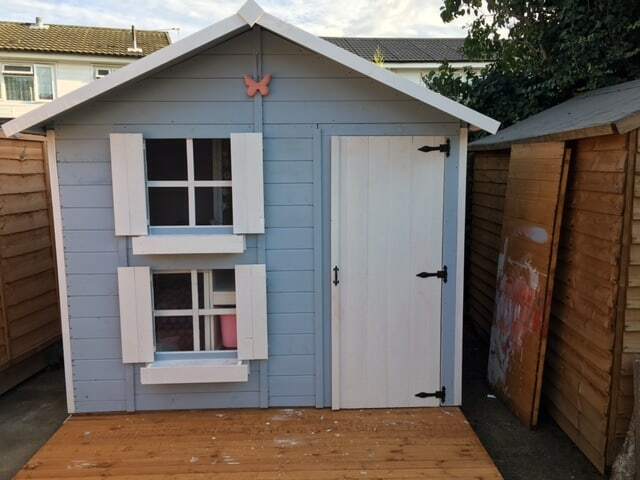 How would you choose the perfect playhouse that also suits the space you have in your garden? 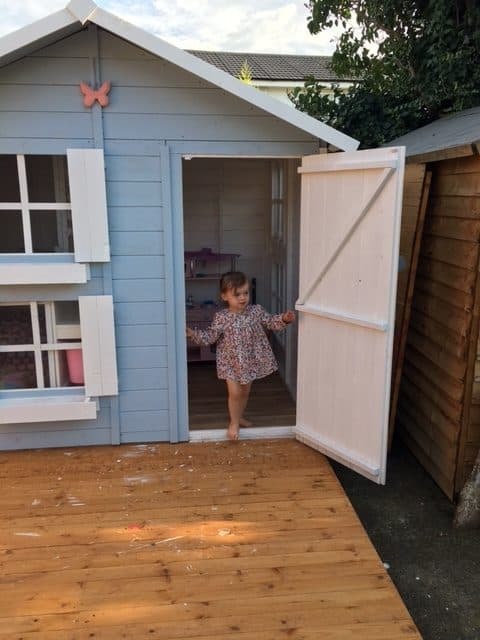 Sharon Maunders shares her experience in choosing the Peardrop Extra Playhouse for her granddaughter’s birthday. 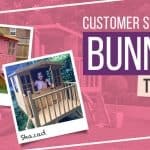 We did a lot of research online and chose Garden Buildings Direct as they had a very good choice of playhouses at much more reasonable prices than some of the other websites we looked at. Why did you choose the Peardrop Extra Playhouse 9×7? 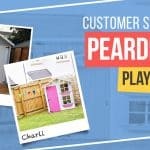 We purchased the Peardrop Extra Playhouse 9×7 in August for my granddaughter’s 2nd birthday present. 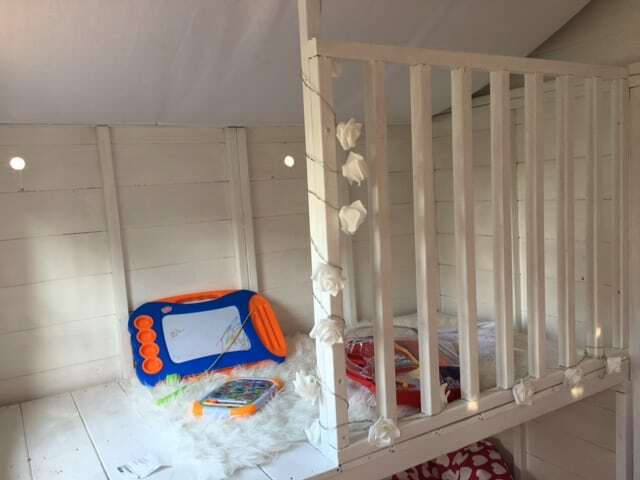 Our criteria was the largest wooden playhouse we could get that also had a bunk area inside and we narrowed it down to the Peardrop Extra Playhouse. 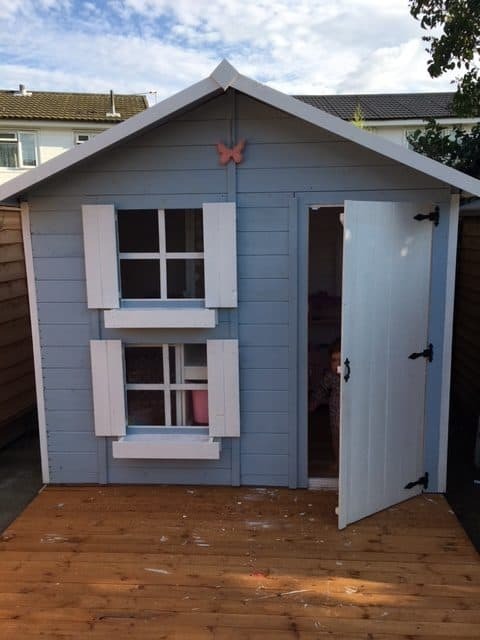 The playhouse was painted with relaxing powder blue colour on the walls, white paint for the door and windows, with a very cute pink butterfly at the top centre, perfect for Sharon’s granddaughter. Placing the order online was very simple and an email confirmation of the order and delivery was immediate. We were kept informed at all times of the delivery process and the day before delivery we were notified of a five-hour slot. On the day there was a delay, but again we were kept informed about the delay in delivering. The people who delivered were extremely friendly and efficient and checked everything with my son to make sure nothing had been missed. How was your experience in erecting the playhouse? My son and his dad found the playhouse really easy to follow the instructions and erect and completed it one sunny afternoon. There didn’t seem to be enough decking planks supplied for the platform but, after a telephone call to customer services, extra planks were delivered free of charge within 4 days. Excellent customer service, polite and friendly agents and a credit to Garden Buildings Direct. The playhouse has been decorated and my granddaughter “moved in” just before her birthday on the 27th August. 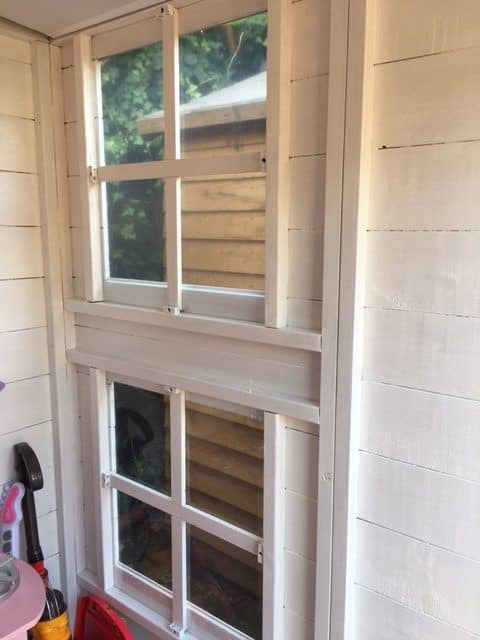 There are still some finishing touches that my son and daughter-in-law want to do to the playhouse, but my granddaughter absolutely loves her new “home”! “Such a great investment that she is already getting hours of fun from! We would not hesitate at all in highly recommending Garden Buildings Direct. Their customer service is excellent as is the quality of their buildings. Thank you. 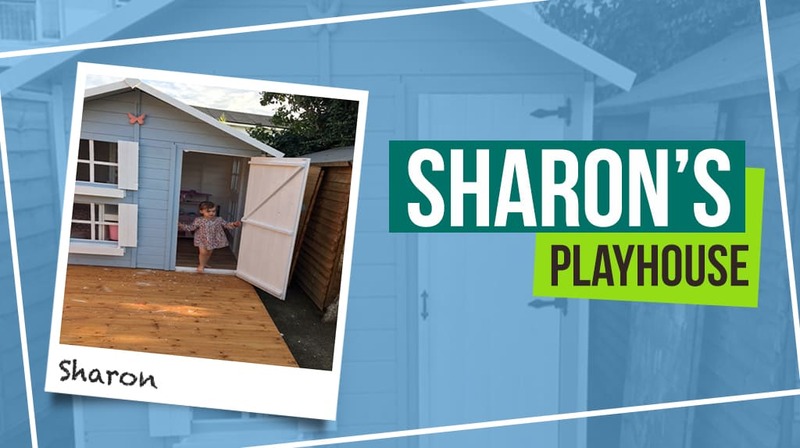 Sharon and her family perfectly built the playhouse and decorated it well for her granddaughter to enjoy it as her home. With enough space inside the playhouse is a better opportunity for the whole family to bond and enjoy. 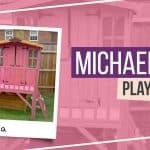 Take a look at our wide range of wooden playhouse and choose the perfect one for you and your family. We guarantee that it will be worth it! 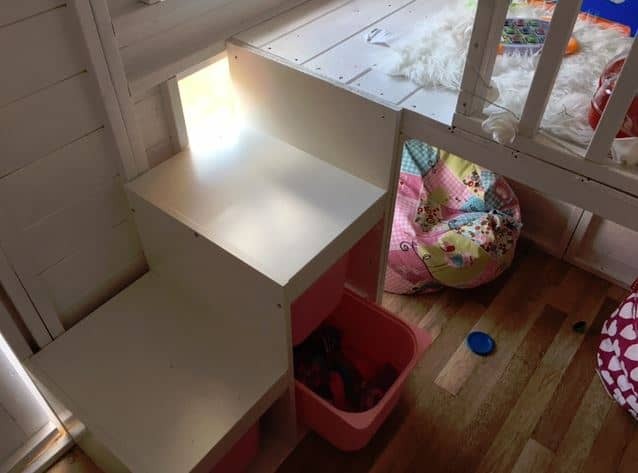 Get and design your own playhouse now! 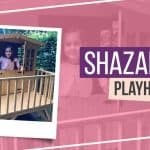 Have a look of our customer playhouse stories.